If you have an old tree you wanted to remove or need to trim the old branches of vegetation on your property, your trees may be protected under local law. The City of Logan has permitted areas of Biodiversity in which certain species of vegetation and trees are protected. We take a look at the types of species that are managed under local law, your rights as a property owner, and the process you need to follow to remove a conserved tree. Types of Protected Trees in the City of Logan.Before you grab the chainsaw or start cutting branches off trees in your garden, you need to determine which of these are protected. According to the city, local vegetation is protected in two parts. This makes it easier to determine which types of trees are safeguarded and the procedure you need to follow to manage specimens located on your property. legally safeguarded against removal and trims without permission. The City of Logan takes pride in its environmental heritage and there are listed tree species that remain optimally protected. These include the vegetation that is considered threatened. Through Logan and Brisbane government initiatives, the Angle-Stemmed Myrtle has received protection. Owing to a rapid decline to 10%, this species has received conservation protection. It is your responsibility as the owner of a tree growing on your property to maintain its health and hazard-free condition. If you own the land, you are responsible for the tree growing on your land. Tree branches that are overhanging your neighbor’s property can only be trimmed back if it is not listed under the Protection Act. 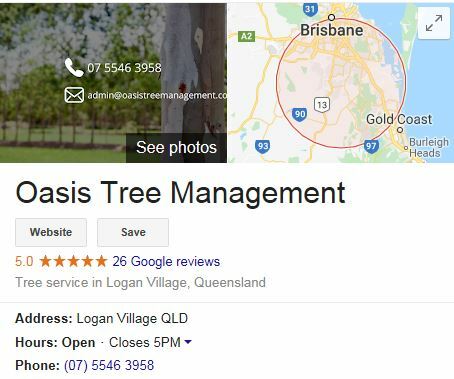 Trees that need to be lopped, pruned or removed must receive approval from the Logan Council. Whether for future building plans or to address risk, applicants must use the DA form obtained from the council online to receive approval. This includes submission of building plans. reasons and documents (in the cases of building plans) to justify the removal. The council will issue a permit for removal upon approval. Ever attempt to remove heritage trees without consulting your local council. You could face large fines and possible court appearance. Only qualified arborists should be contacted to perform site clearing and complete tree removal.